We offer daily flights to Montserrat from Antigua.  Flight time between Antigua and Montserrat is approximately 15 minutes. - arrange an international flight to the Caribbean island of Antigua.  - use our online reservation system to book an ABM Air flight to Montserrat from Antigua. Additionally, subject to demand we are able to offer flights to Montserrat from Barbuda. Please contact us at (268) 562-8033 or abm-air@svgair.com for further information. Our free baggage allowance is 44lbs/20kgs per passenger. Individual bags must not exceed this weight. All hand luggage and small bags must be checked in as they will not be allowed in the cabin. Bags weighing more than fifty (50) lbs will be considered HEAVY and may need repacking. Excess baggage is charged at a rate of $5EC per kg. Back to top. "Dangerous goods" is a term used to describe any substance accepted for air transport that has the potential to cause harm to persons, property (ie. the aircraft), or the environment or to distract the crew from its primary duty of handling the aircraft. Dangerous goods cover a wide range of liquids, solids, and gases, some of which are obviously hazardous; others are seemingly harmless until training and investigation expose their underlying dangers. Oftentimes, these seemingly harmless substances include the industrial chemicals, tools, and maintenance/repair equipment that our frequent customers carry on board to perform maintenance/repair functions at satellite business locations throughout the Grenadines. SVG Air is not qualified to handle or transport dangerous goods, it has ceased the acceptance of these goods for transport. Although you may be travelling short distance between small islands when moving between countries in the Antilles it will be considered international travel and should be treated as such. This means travelling with a passport, obtaining visas where appropriate, and ensuring you have a return passage. When travelling with us please ensure you have appropriate identification for your travel. This includes passports for international travel and/or government issued identification for travel within a nation. Back to top. Our home is considered paradise because of both the geography and the fact that you will be getting away from it all. Getting away from it all includes getting away from massive airports with multiple terminals flying massive aircraft. We operate small airplanes that fly into small airports located on small islands. These cozy planes may provide a fun ride at times but that is part of the experience and they will take you directly to that small island. Back to top. Barbuda Montserrat Nevis Air is a sister company to SVG Air in the Lesser Antilles. The company operates daily scheduled flights between Antigua, Barbuda, & Montserrat as well as private charters and air cargo and small package services. Back to top.